I’ve now entered a new season of my life – and it came much quicker than I ever thought it would. This week, our daughter (the oldest of our two kids) graduates from high school. There are lots of celebrations for our family over the course of the next few days. Extended family is coming in. We’re having a party. Lots of pictures are going to be taken. It’s a fun celebration. However, my wife and I have now entered into a season of having a young adult in our family. Our daughter is off to college in a few months. There are new challenges, opportunities, and decisions in her path. My wife and I are trying to figure out what it’s going to look like to be parents of a young adult. As young adult ministry leaders you have an opportunity to walk alongside parents as they enter a new season of life. Their sons and daughters are going to be finding their way to your young adult ministry where they will experience new opportunities in their walk with Jesus. You will be playing a key role in their lives. As their new young adult ministry leader, you have a chance to share some wisdom with these parents of newly crowned young adults. 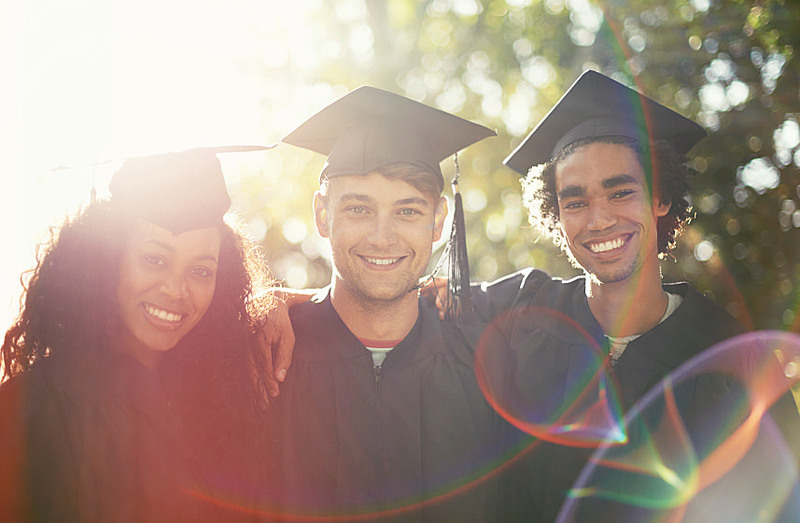 Here are some key reminders you can pass along to the parents of graduating high school students. 1. They still need you to pray for them. What a joy it is to pray for our kids! We’ve had the opportunity to pray for our kids from the day they were born, to that first day of school, to the day they get a drivers license (and praying while teaching them to drive), to the day of graduation. Our kids need us to pray for them even more as they walk into a world that is sometimes full of questions and difficulties. Whether your son or daughter is going off to college, working a job, or going to the military our kids need to know that we are praying for them as they make decisions and journey out on new adventures. 2. They still need to know that you believe in them. For years, we’ve been the ones in the bleachers cheering them on in their favorite sport and the ones who have spoken encouragement over them when they felt overwhelmed. As parents, we have been their biggest fans for their entire lives. They still need to know that we believe in them as they begin to make decisions that will affect their future. This also means to continue to believe in them even when they may fail at something that breaks their heart. There has never been a time more important to offer words of encouragement as now. They need to know that God has a great plan for their lives and that He wants to show them more of who He is each and every day of their journey. Continue to be the parents that believe in your kids (just don’t be obnoxious). 3. They may not do things the way you would. They are going to make some decisions along the way that may not be what you would choose. We have to trust the years of trying our best to teach our kids to make good decisions. They may do this thing called life a little different than we would. We have to be careful when we offer advice and trust that they are seeking the Lord’s heart on major decisions in their life. Generation Z is going to be their own generation and will make a significant mark in this world – I’m convinced of that. And because of that – they are going to do some things that are different than the way we’ve always done it. As parents, we have to be okay with that. It’s a new journey being a parent of a young adult. As a young adult ministry leader, you have an opportunity to help these parents be a support and encouragement to their new young adults in their family. Help them see their kids have an opportunity to take what they’ve learned along the way and allow the Lord to shape them into an individual who will make a significant impact in the world for the cause of the gospel.